Since 2006, “North Texans for 9/11 Truth” has tenaciously worked on projects, events, actions and outreach throughout the North Texas Area and Dallas-Ft Worth Metroplex, along with supporting many national 9/11 Truth campaigns. To date, “North Texans for 9/11 Truth” has given out more than 68,000 DVDs and literally tons of literature. 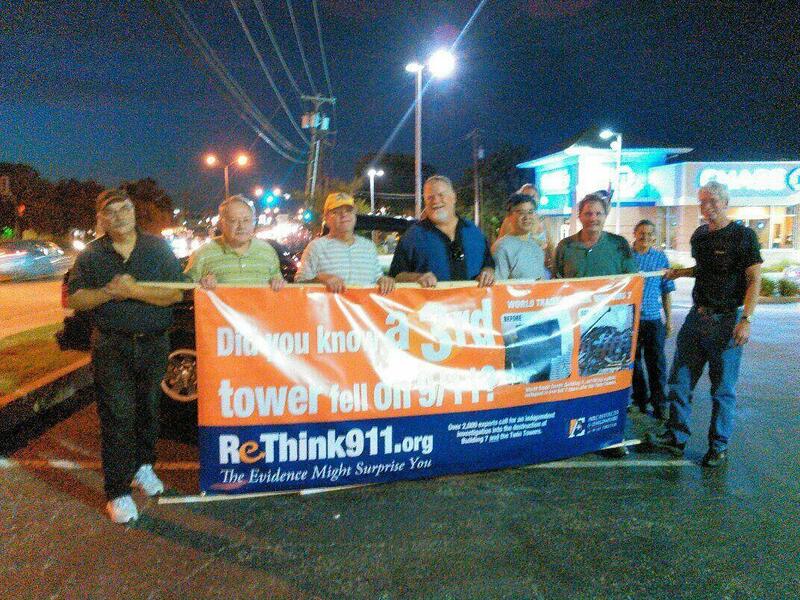 This September 2015, the “North Texans for 9/11 Truth Meetup Group” (http://www.meetup.com/9-11-249/ ) again performed a variety of actions to expose the 9/11 Cover-up which included an event designed to reach new people with more than 140 people attending, a successful Sign Wave, and also a far reaching Advertising Campaign.